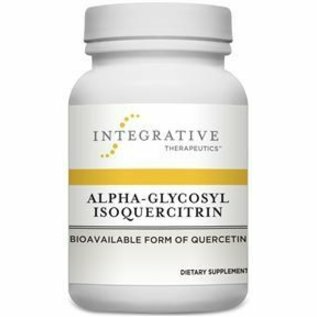 Alpha-Glycosyl Isoquercitrin has 3 times the bioavailability of isoquercetin and nearly 18 times the bioavailability of quercetin aglycone. 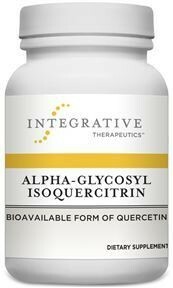 Take 1 capsule one to three times daily, or as recommended by your healthcare professional. cellulose, vegetable capsule (modified cellulose), modified cellulose gum, and silicon dioxide.